If you are a restaurant owner or manager, you know just how challenging managing your employees can be. There seem to be over a million laws to follow on top of hiring workers that may be with you for 2 year or a mere 2 days. In large part, restaurants and bars are easy targets for employment law claims such as wage disputes, meal and rest break violations, and sexual harassment complaints, because of the quick restaurant pace and high volume of employee turnover. 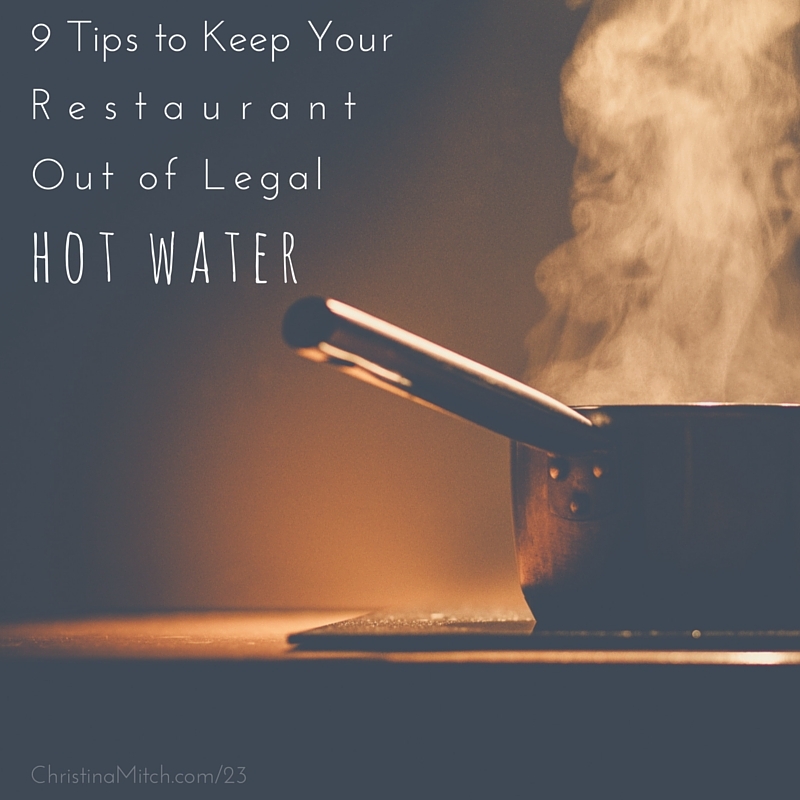 I recently sat down with Christina Mitchell of Local Biz Talk to discuss 9 Tips to Keep Your Restaurant Out of Legal Hot Water. We recorded our conversation on her podcast, which you can listen to here! What legal issues are you dealing with in your restaurant? Reach out to either Christina or myself and we’ll be happy to help you problem solve.